Common sense, hard work & good instincts! Ron is a full time licensed Real Estate Broker with a sincere smile and heart. Ron's many satisfied clients are more than willing to provide referrals. Ron handles the details and believes in all smiles at closings! In addition to his Broker license designation he has the Graduate REALTOR Institute (GRI) professional designation. Ron also serves on the Board of Directors of the Billings Association of Realtors, serves as a Director of the Montana Association of Realtors, and is the 2015 President of the Billings Association of Realtors. Ron is very professional, pays attention to details and knows the importance of listening to clients, showing respect and confidentiality of credit information. In addition to his 12 years in Real Estate, Ron has over 10 years of experience in the banking business. He is a Business/Marketing graduate of MSU Billings. Ron as a full time REALTOR is also involved in many Real Estate and Community activities including his Church, Masonic Lodge, Scottish Rite and Al Bedoo Shrine. 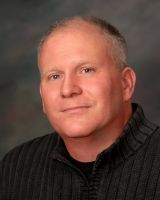 Ron enjoys a strong work ethic combined with natural instincts for dealing forthrightly with his clients and friends. 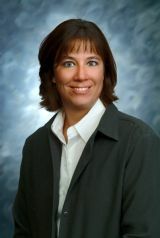 Teresa Mickey is respected & appreciated in Real Estate circles and the community. Her sincere, positive and outgoing personality has always served her listing clients and buyers very well. She is diligent and truly cares about her clients and is always willing to go above and beyond to provide a smooth closing experience. Teresa respects and appreciates her many client referrals. Teresa is experienced in many facets of the business from new construction, property management, to first time home buyers. She is a Full Time REALTOR. Teresa resides in the Shepherd area where she operate a small business and is very active in the community.